This is not just based on a true story, it is a true story. In fact, they left out a couple of amazing facts for fear the audience wouldn’t find it believable. The story of Desmond Doss is incredibly inspiring not just for his courage under fire but for his conviction of faith. This story is about someone who stays faithful to what he believes at great cost and then lives his faith in the face of death with full acceptance. This is not something most of us would be willing to do. 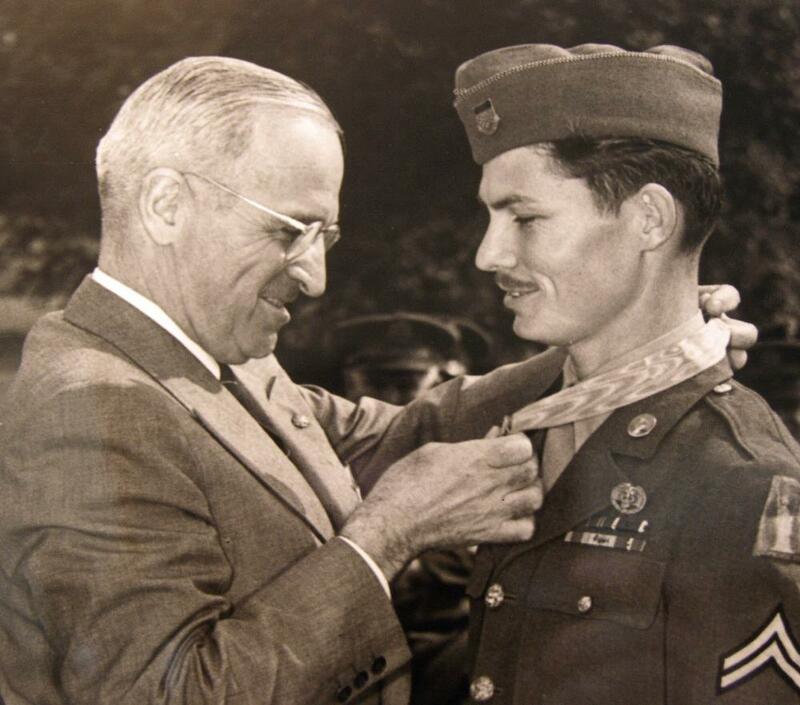 Desmond Doss became the first conscientious objector to be awarded Medal of Honor and this movie shows you why it was well earned. 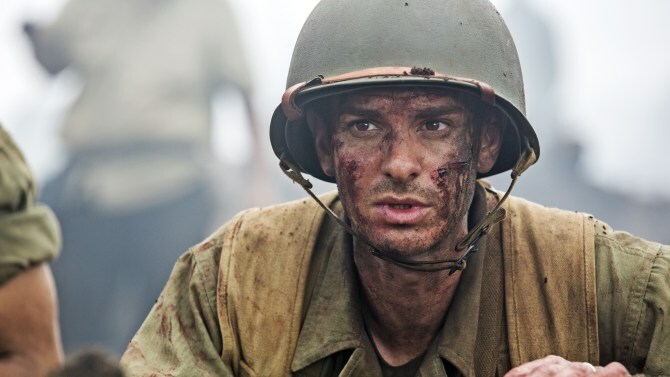 Doss (Andrew Garfield) grows up with an alcoholic father (Hugo Weaving) who was a veteran of World War 1, a loving mother (Rachel Griffiths) and a younger brother. When Doss almost kills his brother during an intense round of roughhousing it scares him. His mother talks to him about the commandment that Thou Shalt Not Kill and Doss vows never to cause violence against another person again. Doss meets a young Nurse, Dorothy (Teresa Palmer) when he brings an injured man to the hospital and they begin a sweet romance. Doss is a sweet, gentle man who may seem off but this oddness appeals to Dorothy and they fall in love. Then World War II breaks out. 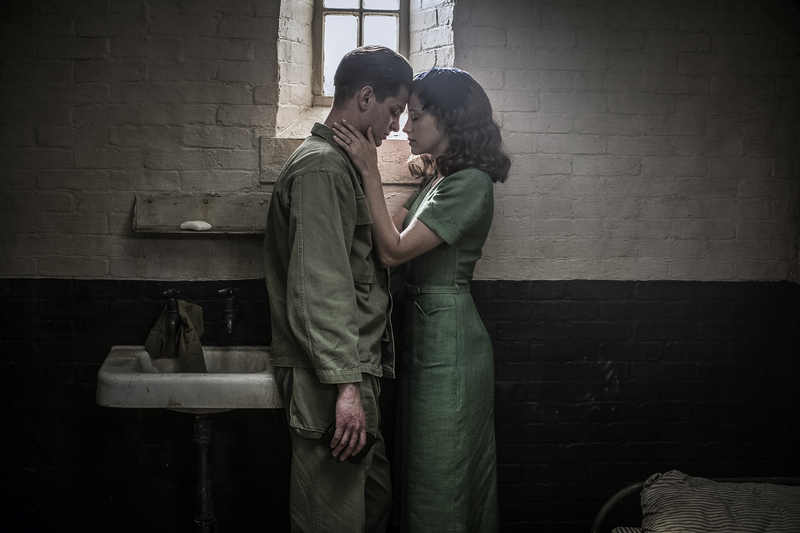 Doss;’ brother enlist first but Doss soon follows which very much upsets his father whose wartime experience has left him emotionally crippled. When Doss arrives at boot camp we meet his drill sergeant, Sergeant Howell (Vince Vaughn) and a group of zany characters who mistake Doss’ refusal to touch a weapon or to drill on Saturdays (Seventh Day Adventist) as cowardice. They try to get him out on a Section 8 and when that doesn’t work they try to force him to quit through grueling punishment and beatings. It’s a painful sequence as Doss holds tight to his beliefs. When they try to court-martial Doss, his father cleans himself up and comes to his assistance. Doss is allowed to stay in the army as a medic and his unit heads to battle in the Pacific theater to face the Japanese. 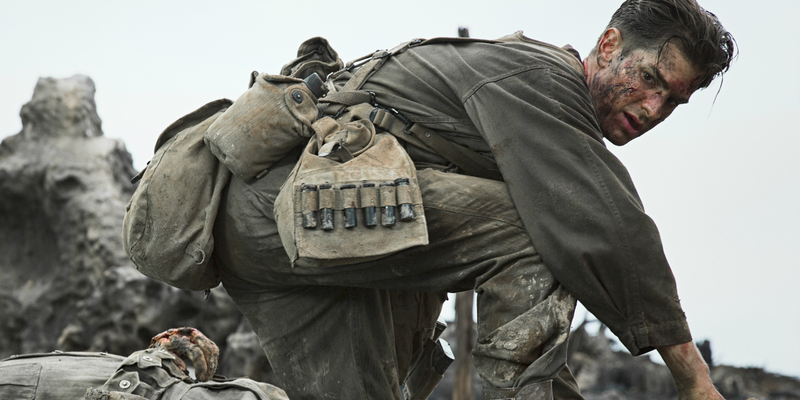 The last half of the film is the battle on Hacksaw Ridge on Okinawa where Doss carries out his miraculous actions and commits acts of bravery that are almost unimaginable. Andrew Garfield is wonderful as Doss. He captures the sweetness and the determination to stick to his beliefs. What may have come off as corny rings true here through Garfield’s genuine performance. 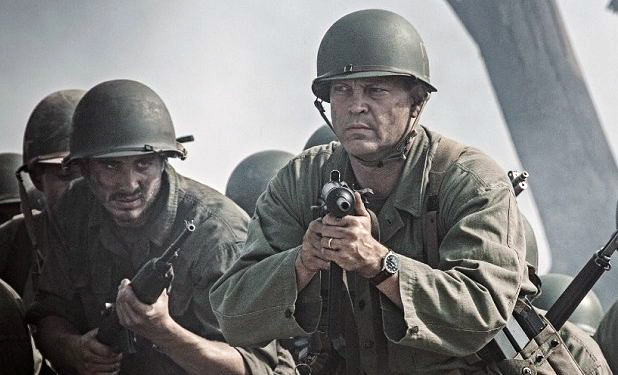 When Vince Vaughn first appears onscreen I heard a few titters but any doubts were quickly overcome as Vaughn gives a humorous but tough and real performance. Teresa Palmer shines as Dorothy and Weaving and Griffiths are fine in support. The film is directed by Mel Gibson. It’s his first film in the director’s chair since Apocalypto in 2006. 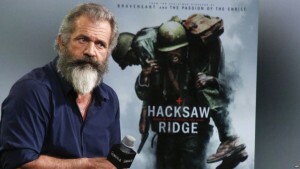 I’ve always like Mel Gibson as an actor and I’ve liked the films he’s directed. He’s been through some rough times in the last ten years but I believe in second chances. He’s far too talented. I hope this is the beginning of a very productive and positive time in his career. I am rooting for him. He’s made a good, old fashioned, rousing and inspiring film. It is well worth your time.